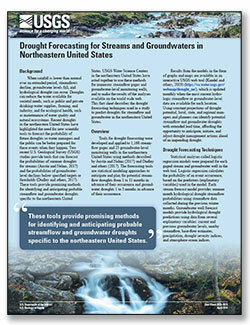 Beman, Joseph E.; Ritchie, Andre B.; Galanter, Amy E.
Beman, J.E., Ritchie, A.B., and Galanter, A.E., 2019, Water-level data for the Albuquerque Basin and adjacent areas, central New Mexico, period of record through September 30, 2017: U.S. Geological Survey Data Series 1113, 39 p., https://doi.org/10.3133/ds1113. Sekellick, Andrew J.; Devereux, Olivia H.; Keisman, Jennifer L.D. 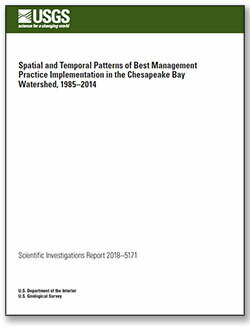 ; Sweeney, Jeffrey S.; Blomquist, Joel D.
Sekellick, A.J., Devereux, O.H., Keisman, J.L.D., Sweeney, J.S., and Blomquist, J.D., 2019, Spatial and temporal patterns of Best Management Practice implementation in the Chesapeake Bay watershed, 1985–2014: U.S. Geological Survey Scientific Investigations Report 2018–5171, 25 p., https://doi.org/10.3133/sir20185171.